Edinburgh Lightning are the Beatson Cancer Charity Super Series winners on 2018 on a day that Glasgow Thunder secured second spot with victory over the Dundee Devils. 2nd December 2018 at the National Hockey Centre, Glasgow Green. First up, Glasgow Thunder Development secured the Super Series Development Series in spectacular fashion with a 7-2 win over the Dundee Devils. Erin Stevens and Zara Mason both scored braces for the west coast side, while Mhairi Crooks, Bronwyn Shields and Georgia Crooks also found the net for them. The eventual winners were strong from the start, creating a couple of dangerous chances in the first five minutes. As the first quarter wore on Dundee started to pose a more dangerous threat, however they soon fell behind, Mhairi Crooks scoring the opening goal of the game from a penalty corner. Unwilling to go down easily, however, the Devils struck back in the dying moments of the first quarter, Lucy Smith scoring in the aftermath of a penalty corner. As the ball had drifted outside the box before being sent back in for the goal, a hotly debated running penalty was awarded for the Devils. Smith looked to double her tally, but was unable to take advantage of the golden opportunity. Glasgow took the lead again shortly before half-time, Mason grabbing her first goal of the game. As it had come from opening play, it was now Thunder’s opportunity to try and take advantage of the running penalty rule, but like their opponents they feel short, Stevens unable to convert. After the interval what had thus far been an even game was turned on its head again, Jen Tait equalising for a resilient Dundee side. With all still to play for as the final quarter commenced, Stevens made up for her earlier penalty miss by grabbing her first goal of the game. This time it was Shields who stepped up for the ensuing running penalty, and she kept her cool to send Glasgow into a two-goal lead with an impressive flick over the opposition goalkeeper. An inspired Thunder side then started to run rampant. A superb counter-attacking move from Georgia Crooks found Eve Downie, who then slotted the ball to Mason who duly scored her second of the afternoon. Georgia Crooks then stepped up to take the running penalty, and all but sealed the game for her side as she made it 6-2. With not long to go, Stevens scored her second of the game to add insult to injury. 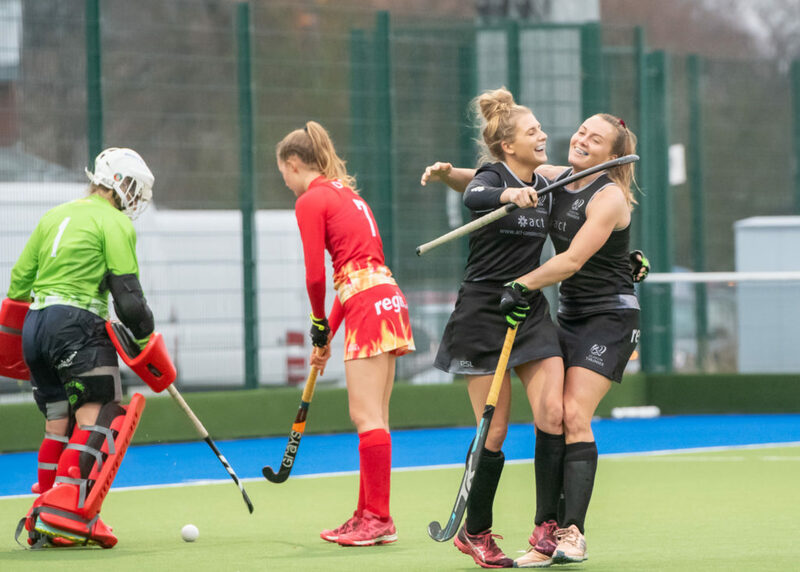 Kirsten Cannon was unable to convert the running penalty which followed, but Glasgow nevertheless emerged with a superb 7-2 win, rounding off a fantastic weekend for their development side. 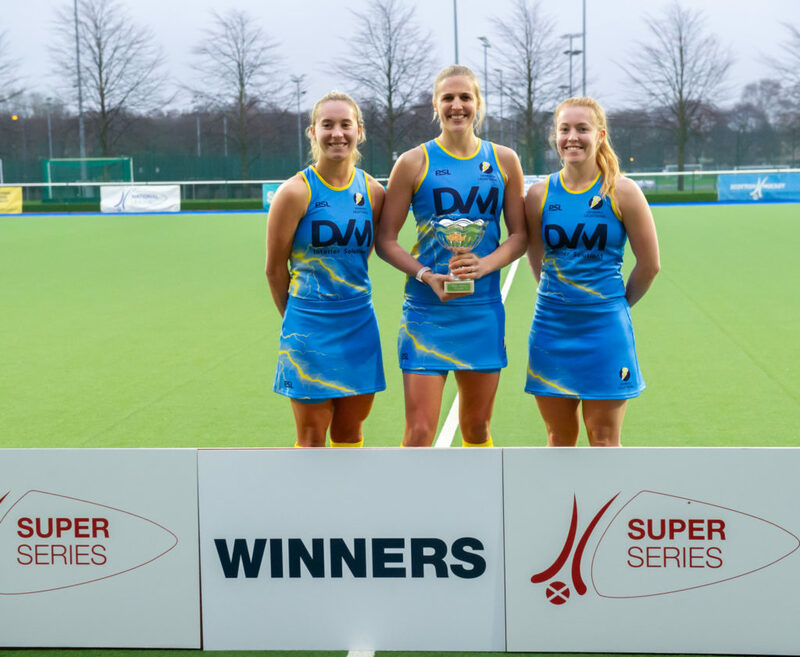 In the end it was a successful Sunday all-in for Glasgow, as their senior side emerged over Dundee with a 3-0 win, restoring some pride after Friday’s resounding defeat against Edinburgh. Connie Lathe opened the scoring for Thunder towards the end of the first quarter, however Lexi Sabatelli missed the running penalty that followed, unable to give her side a two-goal advantage. In what was an even contest, Glasgow had to wait until the final quarter to score a second, Millie Brown making it 2-0 with just six minutes of play remaining. 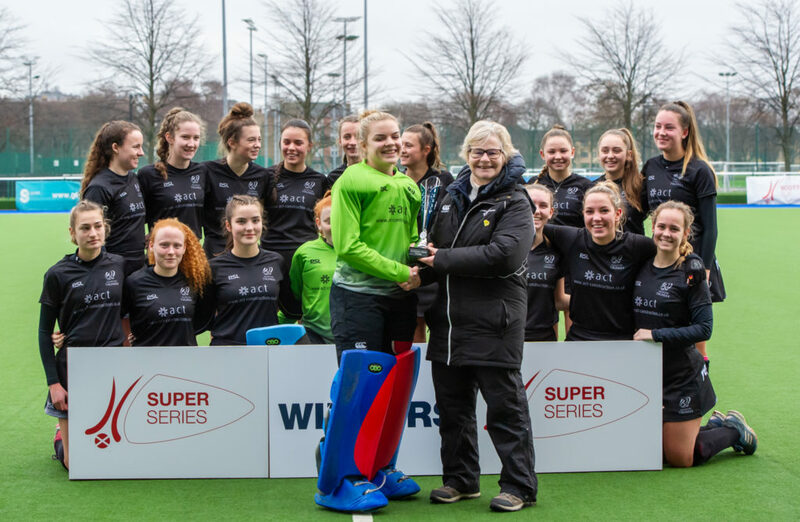 This time the west coast side were able to use the running penalty to their advantage, Rachel Bain converting to secure the game for her side, ensuring Glasgow finished second in the Super Series behind a triumphant Edinburgh Lightning.